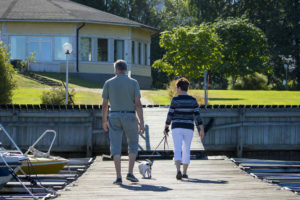 The hotel is situated near the sea in a peaceful environment, only a short walk away from the centre of Ekenäs in Raseborg. One can find restaurants, shops, the railway station and the beaches close by. 20 DBL rooms located on two floors. 10 of the rooms have a balcony and a view to the sea. 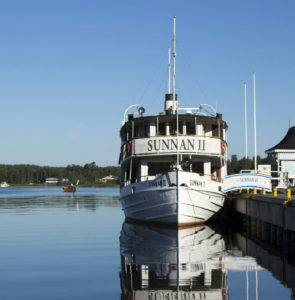 A boat trip from the hotel to Tammisaari archipelago national park. Fishing trips and trips to old fisherman house. Historic weekend at Raseborg Castle ruins with medieval dinner. Lunch and dinner are served in the hotel restaurant Strandis offering Finnish and international cuisine with a modern twist. Dinner or a drink can be enjoyed on the terrace with a beautiful view to the sea. 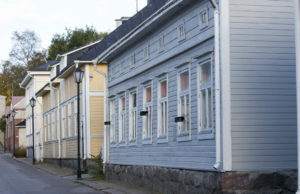 The old town of Tammisaari. Ramsholmen forest park and Raseborg Castle ruins.